Welcome to the Millennial, the Fantasist’s online newspaper. This is the home for reviews, interviews, and other staff-generated content. Unlike the Fantasist, there are not issues of the Millennial. Work will be posted on a rolling basis, as it is ready. News covered here will focus primarily on the writing and publishing worlds, with a special emphasis on the speculative writing community. Most writing of that kind will focus on deep dives into long-lead stories, usually covering events scattered across the space of years or decades, sometimes longer, and will be published under the heading: Pros and Cons. Watch for it. Art by Sam Weber. Used with permission. 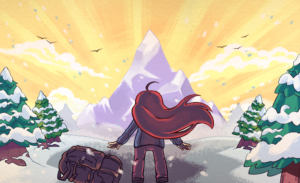 Image from the Celeste Press Kit. Used with permission. Really That Epic is inspired by the video-essay series Really That Good produced by Film Critic “Moviebob” Bob Chipman. @the_moviebob Check out his content and consider supporting his Patreon. Much as Really That Good is “Longform critical analysis of (near) universally-beloved classic films”, Really That Epic will employ (hopefully) even-handed criticism, but nonetheless focus on what does work in these fantasies. 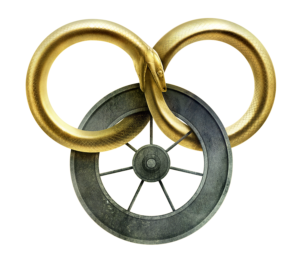 In essays as long as needs be, Fantasist Founders Will Waller and Evan Adams will dig into (near) universally-beloved fantasy fiction and art the quality of which is nonetheless dismissed, taken for granted, or critically neglected and ask the question: “Is this Really That Epic?” Evan Adams will tackle Robert Jordan’s The Wheel of Time series (completed by Brandon Sanderson) and Will Waller will be discussing the new platforming game, Celeste.